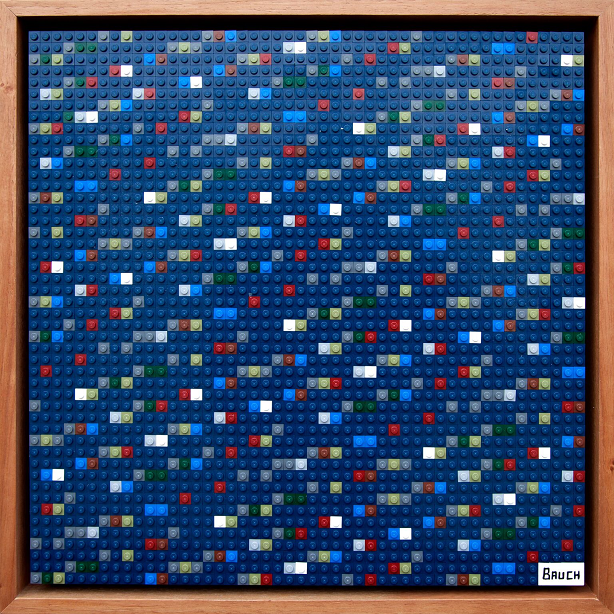 US artist Andy Bauch hid messages in his Lego artworks. 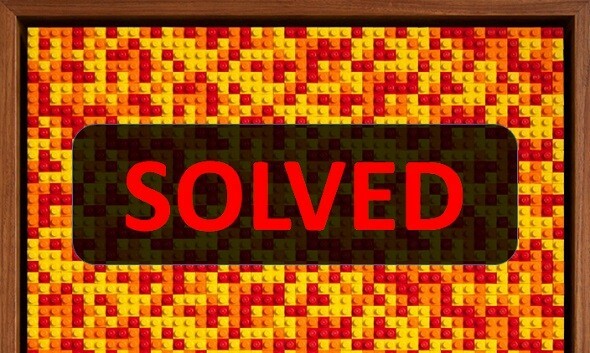 Blog reader Christian Baumann has now solved two of the codes. Last week, I blogged about the paintings (or should I say “mosaics” or “installations”?) by US artist Andy Bauch. 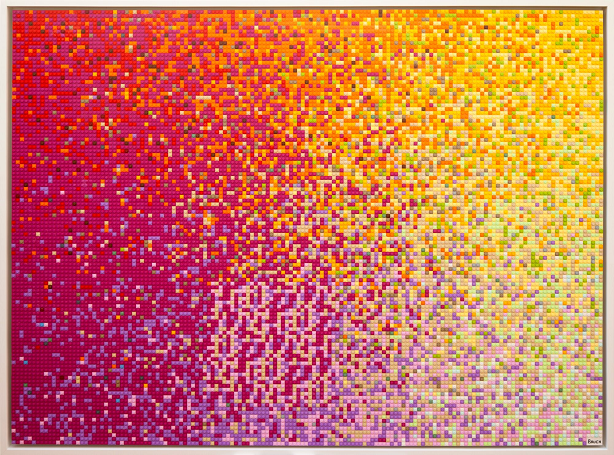 There are two peculiarities about Bauch’s artworks: first, they are made of Lego bricks; and second, each one encodes a message that represents a certain value in BitCoin or another crypto currency. My blog post was headlined “$10,000 worth of crypto-currencies …”, but I’m afraid, I have to disappoint you. Apparently, all the paintings have been deciphered by now, so there’s no money left. However, this blog is not about money but about cryptography, and from a cryptographic point of view there are still a few things to win. 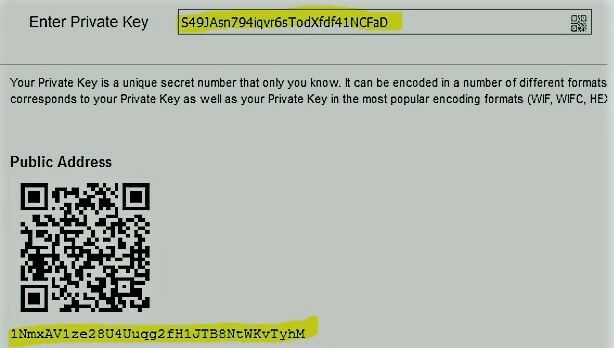 Especially, we can look at the methods Bauch used to encode the cryptocurrency values (to be more precise, he encoded private crypto keys that lead to cryptocurrency wallets). When searching for some more information, Christian found another blog post that explains Andy Bauch’s BitCoin Lego code. This one was published by James Stanley, a Bristol-based software developer. Unfortunately, this challenge had also been solved before. It’s a shame that Christian’s great codebreaking work was not rewarded. A complete report of his findings is available here. Can a reader find this hidden message? I’m afraid, the money is already gone, but it would be interesting to know how the code works. 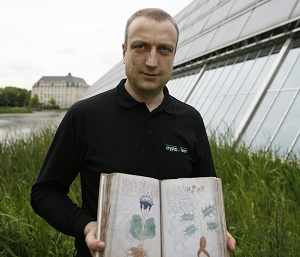 I hereby congratulate Christian Baumann and the others on having solved Bauch’s Lego codes. In addition, I congratulate Andy Bauch on this interesting kind of art. 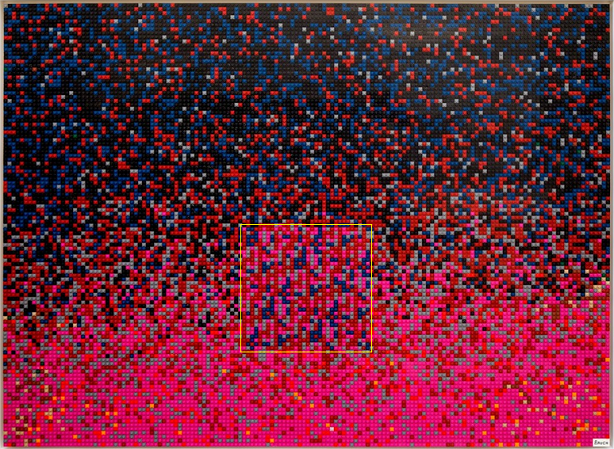 Bauch’s crypto paintings combine art and cryptography, just like Kryptos, the Cheltenham Listening Stones, the Cyrillic Projector, Charles Dellschau’s paintings, James Hampton’s installation and others have done before. The CannabisCoin picture seems to use a similar “area” as the Dogecoin one. There is a particular square-shape spot in the lower half that looks quite differently from the surroundings. That could be a starting point.